Not sure what kind of welding rod you need? 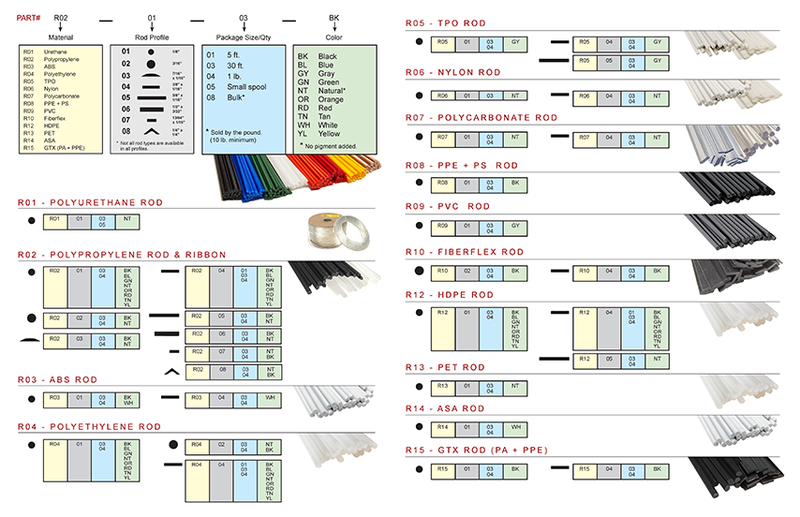 Check out our Plastic Identification chart here. (no pigment added) 30 ft.
2 Polypropylene Black 30 ft.
3 ABS White 5 ft.
(no pigment added) 10 ft.
(no pigment added) 15 ft.
(no pigment added) 5 ft.
*Rod profile images are not actual size.